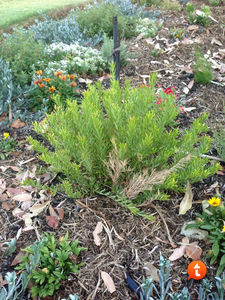 I have 2 Grevillea Gold Rush natives planted in my front garden. The plants receive enough water, have received compost, Troforte M (for natives) and they have been growing beautifully for 6 months now. Suddenly they are dying slowly. 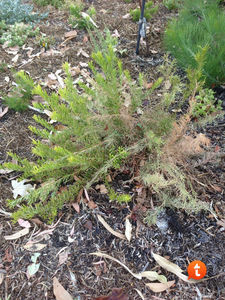 My Mum who loves nearby also had her Grevillea Gold Rush die without any known reason. Has anyone else had any experiences with this? I'd be looking for some sign of borers toward the base of the affected stems. Do you know the pH of your soil at all? This particular Grevillea is more of an acid lover and does struggle in alkalinity. It isn't one of the hardiest in my opinion. It's easy to strike though, so pop in some cuttings and keep them moist if you want replacements. Thank you Pam and Karyn.